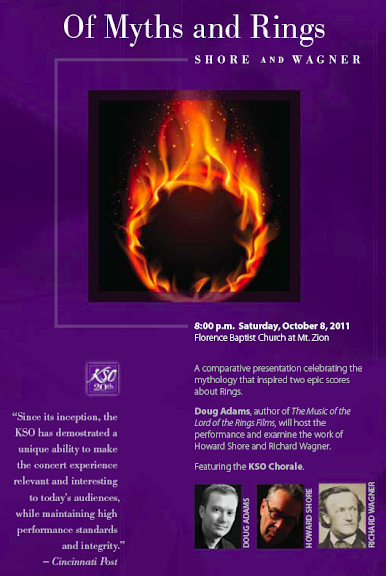 Just checking in quickly while posting the ROTK De Doelen review. If you've been following my Twitter feed (which is where I'm doing most of my mico-blogging during this busy spell), you may have noticed that I was scheduled to give a lecture at Boston's Berklee College of Music tonight. With the recent tragic events in Boston, it seemed best to hold off for the time being. We will reschedule in the fall when Berklee is back in session, and when Boston has had time to heal. “I am humbled by the outpouring of support by the business community and individuals who are united in their desire to help; The One Fund Boston will act as a central fund to receive much needed financial support,” Governor Patrick said. “At moments like this, we are one state, one city, and one people.” 2013. April 21st 2013, the city of Rotterdam. For the third year in a row I'm gathering up for a great event: The LOTR live on screen: the films of LOTR accompanied by a live symphonic orchestra, full choir and children's choir! Today will be the last one in the row: The Return of the King. When entering the venue, the excitement get's me right away, the big screen, the great Rotterdam Philharmonic orchestra with the choirs right and left. As soon as the film starts and the orchestra starts to play, you'll right away be transported to Middle-earth, to this great imaginative world. Mr. Ludwig Wicki, the great conductor of this show, leads the orchestra over mountains and great landscapes and exciting adventures. And again, I'm thinking: "How did Mr. Shore made this, how did he manage, and not only that, it is, as Peter Jackson says, really the very soul of this film?" And also, the film is so good, and the music fits so well, that watching the movie I sometimes forget to look to the orchestra! There's nothing to say, this orchestra is so good! And of course the lovely and great soprano Kaitlyn Lusk, she sings the score so easily, she really is Elven-kind! As you see, I'm still excited of the performance. It was a while ago when I listened to the music of the LOTR, but as soon as you hear it again, it strikes you! 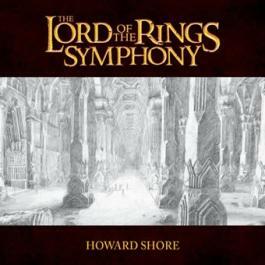 Howard Shore, thanks for your great music for this films! I again know why your music made me a film composer too! And of course Rotterdam Philharmonic, Choirs: Laurens Collegium Rotterdam Vocaal Talent Nederland, Ludwig Wicki and Kaitlyn Lusk. Howard Shore has composed the score for Arnaud Desplechin's new film, Jimmy Picard, which will play at the Cannes Film Festival later this spring. Shore recorded the score in New York this past winter. Winners of ColonneSonore.net Award, the prize awarded by the readers of ColonneSonore.net, announced! ColonneSonore.net is proud to announce the winners of ColonneSonore.net Awards 2012, the first edition of a special prize to the best music written for film and television voted by the readers of our website. The public survey has encountered the enthusiastic participation of both our loyal readers and workers of the Italian film/TV music industry. Online voting began on February 2nd and closed on February 28th, seeing the participation of more than 1,000 film score enthusiasts submitting their own preferences over selections spread over six categories. The nominations were submitted by ColonneSonore.net staff editors, who chose names and titles through internal votes and ballots among the overall eligible works released through year 2012. The goal was to represent at best the eclectic and high-quality work in film and television music by both Italian and foreign composers. In the category "Best Music for an Italian Film", composer Paolo Vivaldi won for the captivating score Maternity Blues, written for the intense melodramatic film directed by Fabrizio Cattani. Young talent Andrea Farri has been recognized both as "Best Italian Composer of the Year" (thanks to his outstanding work in films like Gli sfiorati and 10 regole per fare innamorare) and for "Best Music for Italian TV Fiction" for the score of the acclaimed series Squadra Antimafia: Palermo Oggi 4, broadcasted successfully on Mediaset channels. A surprising tie resulted in the category "Best Original Song for an Italian Film": young and talented singer-songwriter Thony won for "Time Speaks" (written for the film Tutti i santi giorni, directed by Paolo Virzì), and Elisa and Andrea Guerra got recognized for "Love is Requited", the main theme song of Roberto Faenza's Un giorno questo dolore ti sarà utile (Someday This Pain Will Be Useful). A win tie is also found in the category "Best Music for a Foreign Language Film": Howard Shore won for his monumental score to The Hobbit - An Unexpected Journey, while the legendary John Williams got recognized for his poignant musical score for Steven Spielberg's Lincoln. John Williams was also elected "Best Foreign Composer of the Year", thanks to his exceptional work on the Steven Spielberg film. All winners will receive a certificated plaque. We hope this is only the beginning of a long and lasting tradition aimed to recognize the art of applied music both in our country and all over the world. Thanks to everyone who participated and voted and made this possible!